Every Internet marketer knows basic SEO practices and follows them, but many forget to focus on eCommerce optimization for conversions. 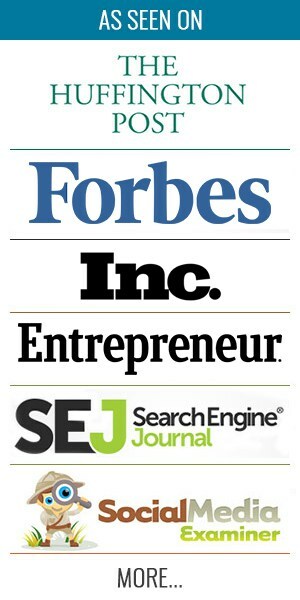 It is possible to drive traffic to your site using SEO, referrals, ads, emails, and affiliates. However, having a high amount of traffic does not necessarily translate into higher conversions and better revenue. If you do not serve your audience with a great product, service, or content, you will not see any conversions. Let’s look at the two actionable marketing concepts that can help with eCommerce optimization and drive insane conversions. AIDAR is one of the classic marketing models that has been effectively used by Internet marketers to boost conversions. Here, I’ve outlined some insights into this marketing concept and how it is used today for eCommerce optimization. The first step mentioned in the AIDAR model is Awareness, which refers to getting your brand noticed. Traditionally, this step would have involved advertising, but now it normally involves creating full brand awareness online. You should promote your brand through social media channels. Creating a Facebook page or a Twitter account to reach out to your target audience is important for eCommerce optimization. Having social proof to back up your reputation is a crucial factor in this step. People will trust your brand more if they see good reviews, rankings, and recommendations. Instead of having an agenda of hard selling, you could do better by interacting with your existing customers. This will help you make a positive impression on your potential customers. In the third step, the challenge is to create a Desire to buy the product or service. Make your audience form an emotional connection with whatever you are selling. Don’t simply provide a laundry list of features and information. Show your target audience why they need to make the purchase. The following image shows how eBay drives a desire to make a purchase with offers or discounts. Personally interacting with your audience can be a great way to make your products or services more desirable to them. Make an effort to solve their problems by sharing tips and advice related to your brand, product, or service. Your call-to-action is an important element in this step of the AIDAR model for eCommerce optimization. How you frame your sentences and where you place them can influence your customers’ purchase decisions. Are you using words that would compel your audience to take action? You can see in the image below how Obama’s campaign website invited visitors to “donate now” so that they know what’s expected of them. According to Forbes research, personal recommendations are the top driver of consume purchase decisions. This means that the experiences of your existing customers can make or break your conversion rates. Ensuring a positive user experience during the purchase process is an effective way to drive future conversions. For many marketers, the purchase is the last step of the marketing process. However, it takes much more than that to succeed. The final step in the AIDAR model is Retention, which is where you try to create a long-term relationship with those who’ve made a purchase. 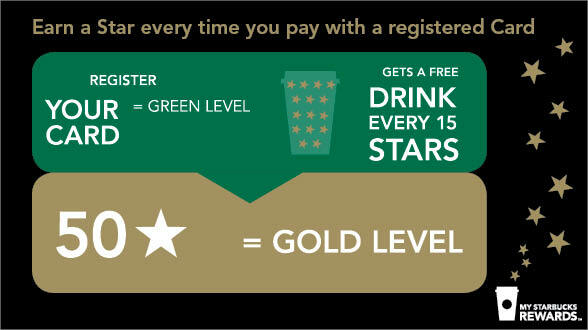 For instance, Starbucks has been able to retain customers using its customer loyalty program called My Starbucks Rewards. In 2013, Starbucks CEO Howard Schultz told analysts that they expected to have 9 million members in this program by the end of the year. Don’t let your customers just walk away after they’ve made the purchase. Your goal is to try and maintain the connection for good eCommerce optimization. This will not only help you gain repeat customers but also create more customer recommendations through social media or word-of-mouth. Ever since Robert Cialdini’s book “Influence: The Psychology of Persuasion” came out in 1984, the six principles of persuasion have effectively been used in marketing. You too can capitalize on them for eCommerce optimization. Let’s take a closer look at each of these principles. Paying back what we receive from others is a social norm that many of us do. We do not want to seem ungrateful, so we feel the obligation to return a favor. In the marketing world, this principle can be applied by providing your audience with something so that they are compelled to buy from you. 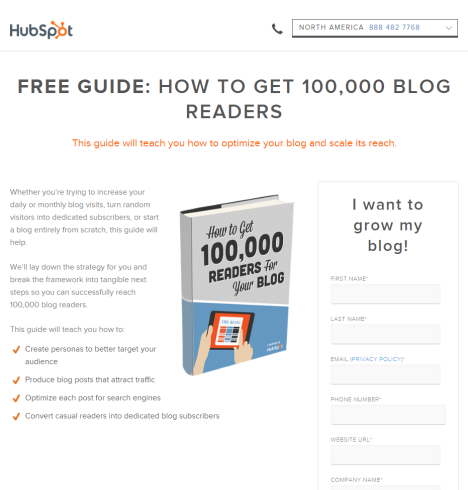 Hubspot uses this principle by offering a free guide to gain more blog readers. 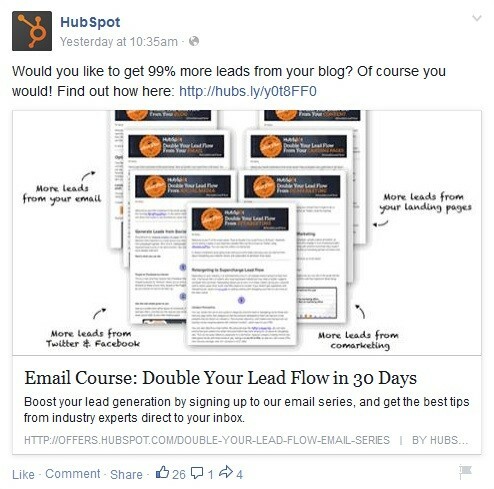 Hubspot requires users to enter their contact information, which they can use in the future for soliciting their services. Human beings have the tendency to stick with our choices. We are driven by the need to appear consistent and committed. Once you’ve made your visitors commit to something, they’ll have the compulsion to stand their ground. Neil Patel applies this principle by giving visitors the option to subscribe to weekly or monthly newsletters and send regular updates. Whenever we are uncertain about making a choice or decision, we look at what others around us are doing. People have the natural tendency to trust a decision if it is popular or recommended by others we like. 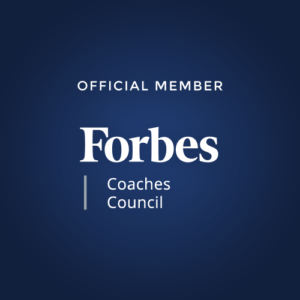 This principle was proven by the Forbes study mentioned earlier. The CRM software service, Highrise, includes a testimonial on their landing page as a form of social proof. According to Cialdini, we are often influenced by the people that we like. This means that we are more likely to comply with requests if someone we like has made them. Building a personal connection with your audience is a great eCommerce optimization method for driving conversions. An excellent example of this can be found on PetRelocation.com. The website has included some staff bios for pet owners to get acquainted with the person who’s helping them move their pets to a different city. We tend to follow or obey people who are authority figures. If a customer feels unsure about making a purchase, they might seek guidance or advice from someone who’s a well-known expert on the subject. Building an air of authority can help you close a sale more easily. This is exactly where influencers come into play and bring high sales. Kepler’s Books provide staff recommendations, which is enough to drive conversions. The scarcity principle is based on the fact that we are more drawn to things that are exclusive and rare. We unconsciously make the assumption that something is more valuable if it is difficult to obtain rather than easily available. Marketers can use this principle through limited-time offers and special promos. Amazon.com is well known for using scarcity to create desire and urgency in its buyers. If you do not already know these concepts or aren’t using them, you are missing out on much conversion opportunities. First, I’ll explain some simple eCommerce optimization tips for using the AIDAR concept on your website. Build awareness about a new product or service on your website by promoting it via PPC (display ads or remarketing), SEO, email marketing, affiliates, etc. Give details about the benefits of what you are selling and highlight USP to foster the desire to buy. Provide useful information to help visitors in verifying facts and figures they see on your website. Include your physical address, phone number, and other contact information so that visitors can easily reach you. This will help you boost your site’s eCommerce optimization and industry credibility. Let people know that you are a real person behind this online portal and happy to help them. [easy-tweet tweet=”Create a compelling call-to-action with a short, catchy message.” user=”shane_barker” usehashtags=”no”] Make certain your audience knows exactly what you want them to do. Make it simpler and more convenient for your customers to interact with you and purchase your products. For instance, a one-click checkout process or an option to sign-in via social media accounts could greatly boost your conversions. Now, here are a few ways in which you can implement the persuasion principles to your website for eCommerce optimization. [easy-tweet tweet=”Give away samples or exclusive, personalized #offers so that visitors feel indebted to you.” user=”shane_barker”] Perhaps, you could offer them a free download link to a chapter of your eBook, then later invite them to subscribe to your blog. Provide interested visitors with a free trial of your product or service. There’s a higher chance of getting them to sign up for the premium option. Show social proof by making true testimonials, reviews, and ratings easily available for your prospective audience. [easy-tweet tweet=”Try to understand the thought process of your target audience.” user=”shane_barker”] This will help you make your site more easily relatable for your visitors. Whether it regards language, design, or graphics, try to get your potential customers to like you and relate to you. That is key for good eCommerce optimization. Build your website’s content to emulate an air of professionalism and expertise. This enables you to gain the trust and respect of your target audience. You could get an influencer in your industry to endorse your brand or products. Even just a simple Twitter mention or social media post promoting your brand and your products or services could work wonders. Try limiting the supply of products to implement the scarcity principle. For instance, you could offer a free eBook to only the first 50 subscribers. Applying these marketing concepts to your website is critical for eCommerce optimization. Don’t miss out on these ideas because you’ll lose an enormous opportunity for profitable conversions. Got any questions about eCommerce optimization? I am happy to help in the comments section below!